Looking for a commercial drain clearance team? Look no further than Mantank Environmental Services Ltd. We work with clients throughout the UK to identify and resolve their commercial drain blockages and issues. Our work doesn’t stop until you have a fully functioning drainage system, we utilise our industry knowledge to ensure there is minimal disruption to your business too. Our team are highly experienced in resolving both common and complex drain network problems, so you can feel confident that you are working with a professional team. We have also invested heavily in the equipment that we have at our disposal, which means that you can benefit from not only an experienced team, but also one that has a variety of kit to work with – saving you both time and money during your commercial drain clearance. At Mantank, we understand that drain clearance may seem like a difficult task, with many different factors as to why a drainage network may be experiencing problems. However, our team are well-versed in the world of drainage problems. We have over 20 years of experience in working on commercial drain clearance projects, diagnosing and solving the issue within a small timeframe to prevent ongoing issues. Our portfolio ranges from government organisations such as local councils, through to national corporations with offices and sites throughout the country and including small to medium sized businesses. When we are called out to a drain clearance project, our team first diagnose the issue within the drainage network by utilising high specification drain cameras. This CCTV drain survey enables our team to take accurate images of the drain and pipework, from which we can find the problem. Once we have identified the issue, we can then provide a range of solutions to clear the drain blockage within a small timeframe. At Mantank we specialise in commercial drainage and environmental projects. Our industry experience and knowledge is unmatched by any other provider and so, we are to ‘go-to’ partner for many of our clients in terms of industrial cleaning, tank cleaning and commercial drainage projects. Our background means that we have worked on a huge variety of projects that have presented many different issues, all of which our team have worked to resolve without affecting how your business operates. We understand that time management is essential and so, we strive to carry out our professional services within a timeframe that minimises the effect on your day-to-day business operations. 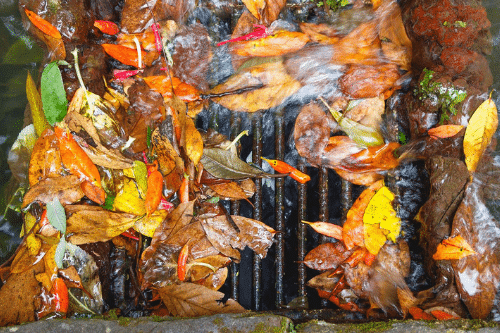 If you would like to find out more about our commercial drain clearance services, do not hesitate to get in touch. We have years of experience in working on commercial and large-scale drainage issues, so whatever your requirements we are here to assist you. To speak to a member of our team simply fill in our contact form and we will be in touch with you as soon as possible.